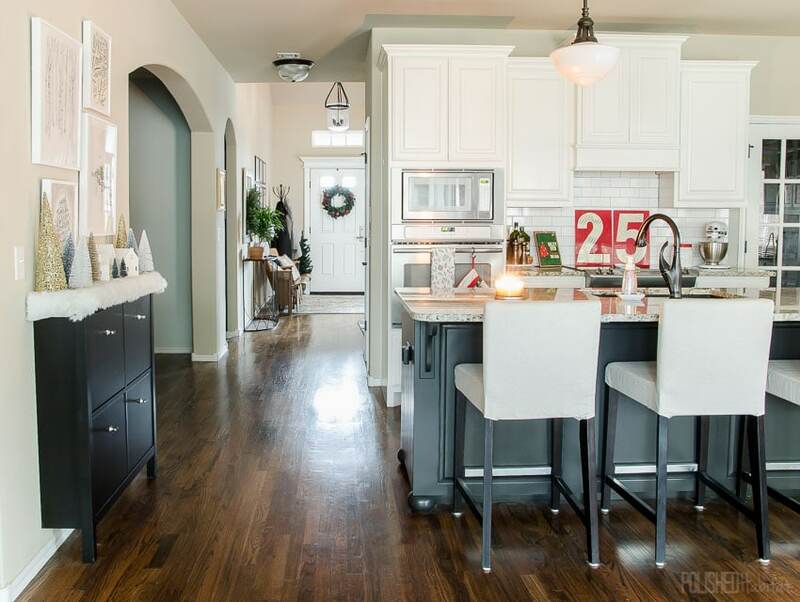 In Monday’s Christmas house tour, I was a bit sneaky and partially hid one of my favorite spots from you. 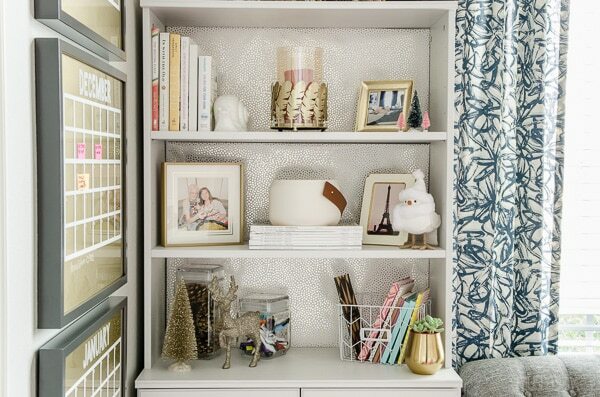 In the kitchen, the space above the shoe cabinet has a totally new winter look! You could see it a bit in this picture of the kitchen. I had a great reason for waiting to show the whole thing. 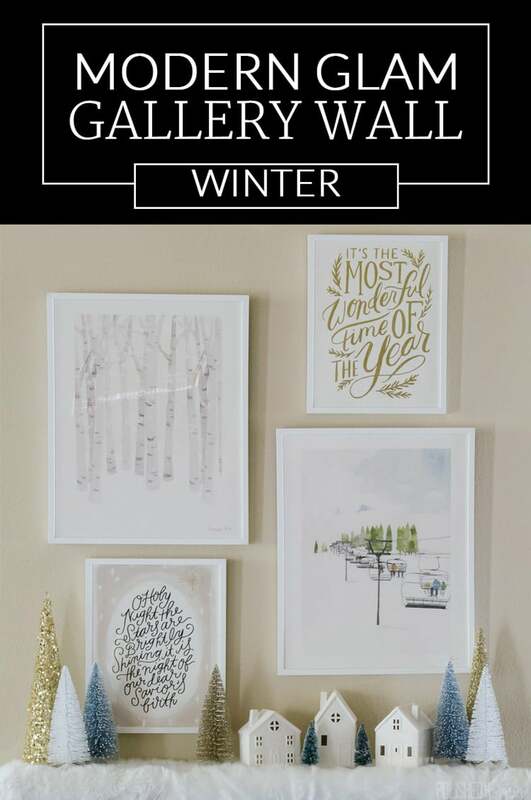 All the art on the wall was provided by one of my very favorite art sources, Minted. Since this is the season of giving, Minted also offered me THREE $100 gift cards to give away to readers. Woo hoo! You could use them on holiday art, gifts, or even beautiful custom Christmas cards. Make sure you enter at the end of the post! In prior posts, I talked about my obsession with buying decorations that work all winter. This new gallery is a great example. When I’m making any kind of wall like this, I usually start by falling in love with one image and using it to inspire the rest. In this case it was the Ski Lift print. The style and colors were perfect, so it was an easy jumping off point. Once I decided on the Ski Lift, I found the Birch Woods to complement it. I always like tree pictures, and this one is so peaceful. 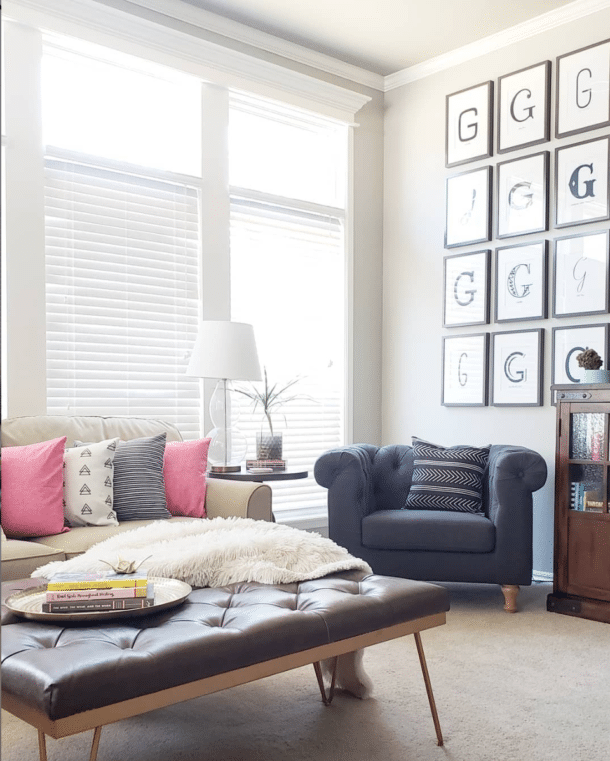 The space on the wall was just the right width for two 16 x 20 prints. Having the larger prints picked out, I realized I could stagger them and fit in two smaller Christmas prints as well. 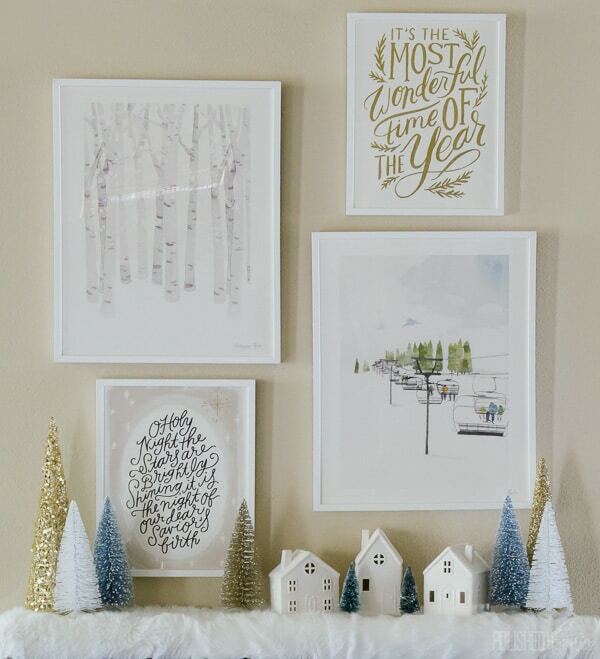 The Most Wonderful Time print is gold foil and so shiny in person. Perfect for the holidays! Best of all, if I decide to go back to having lots of red accents in my decor next year, all four prints will still work. Wouldn’t they be cute accented with buffalo check and more rustic accessories? 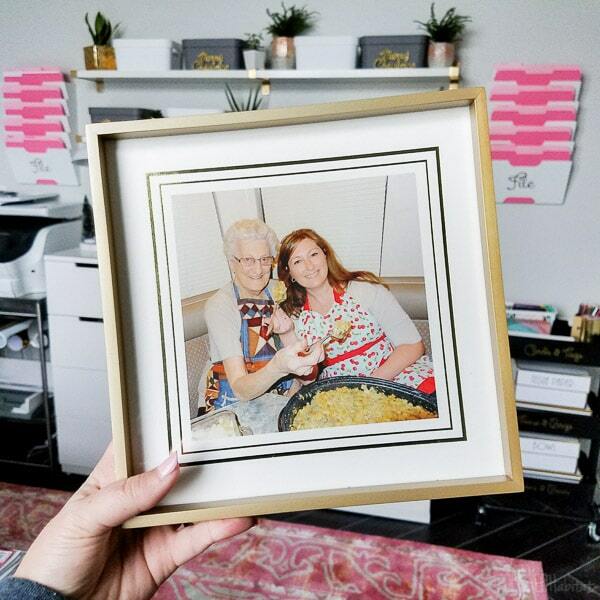 I noticed that Minted also makes gifts from photos. I have a favorite photo of my Gram that shows her fun-loving personality. I jumped at the chance to have it made into a framed print. And yes, that is an entire roasting pan full of stuffing. We do Thanksgiving right. I think this one will live in the office full time to remind me of all the things she taught me every day. Giving someone a cherished photo like this for Christmas would an amazing gift. And if you’re in the gift-shopping mode, check out the other custom art options. The houses and maps are my favorites…or the silhouettes and kid’s drawings…I can’t pick! 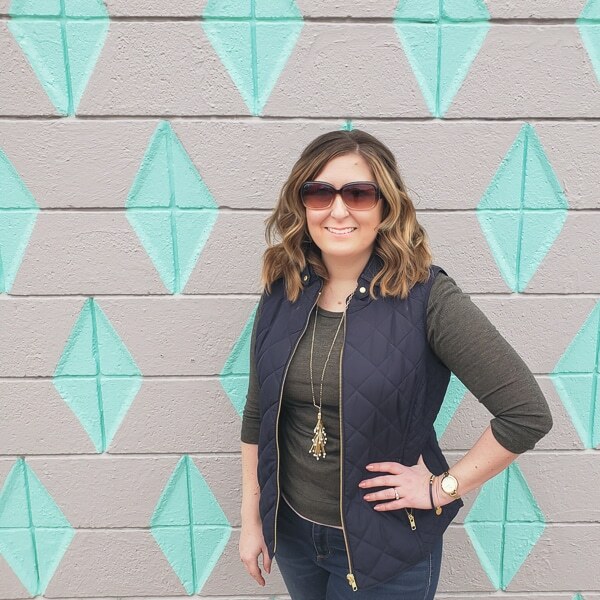 Now it’s time to pick out what you’d order with the $100 credit, cross your fingers, and enter the giveaway. Good luck! I’d love to get a silhouette art of my daughter. What a great give away. I enjoy your blog. There is an area in my home that needs art work. Would definitely use the gift card to help that wall. I love the simplicity and elegant look of wall gallery and overall look of the setup. Will definitely give it a go in my home. Thanks for the idea! I guess I didn’t make it clear as to what items I loved.. Definitely love all the printed art! Thanks! I’d love to get more art for our house! If I won, I would put the credit towards a print of a nature scene… my walls are filled with trees, lakes, and mountains and I don’t plan on that ever changing. Love the personalized photo for a gift! We are going on my son’s Make a Wish trip soon and invited the grandparents. Oh my goodness would they love to receive a special photo from the trip! The gallery you created is beautiful! Oh my goodness, I hope you win! I have a whole house to decorate. Would love some artwork for my master bedroom. or I may get some kids prints for my son’s room. 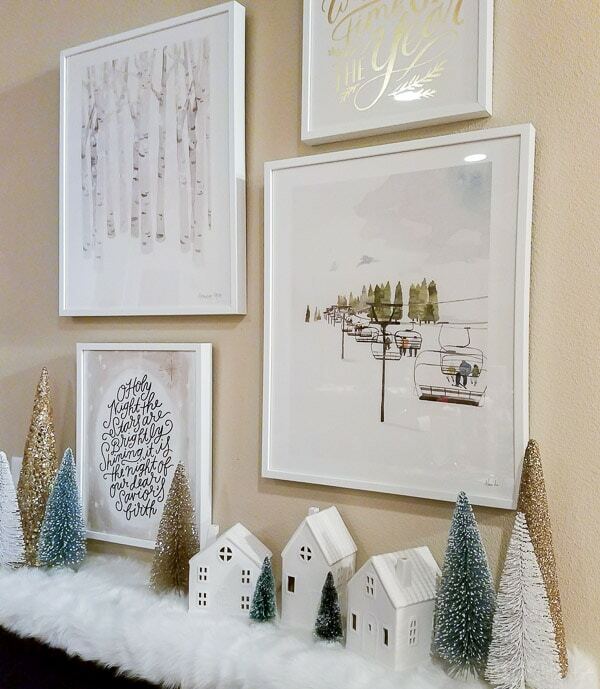 Love Minted in general and the prints you chose in particular.